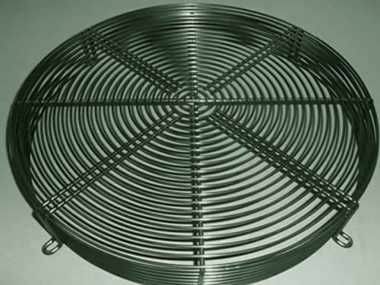 Our company design and manufacture dome type fan guard in unique dome shape for guarding blades and allied fixtures of exhaust and condenser fans. Made from good quality raw steel materials, guards surface can be in galvanized coating, chromed-plated or black plating. Its specification meet the clients order. Our domed fan guards have the features of less wear & tear, shock proof nature and high strength. Our clients appreciate them. Our round dome fan grill guards are extensively used in different electrical industries for covering blades of cone type fans. These fan grill covers can withstand high air speed and temperature, and easy to fit and mount.